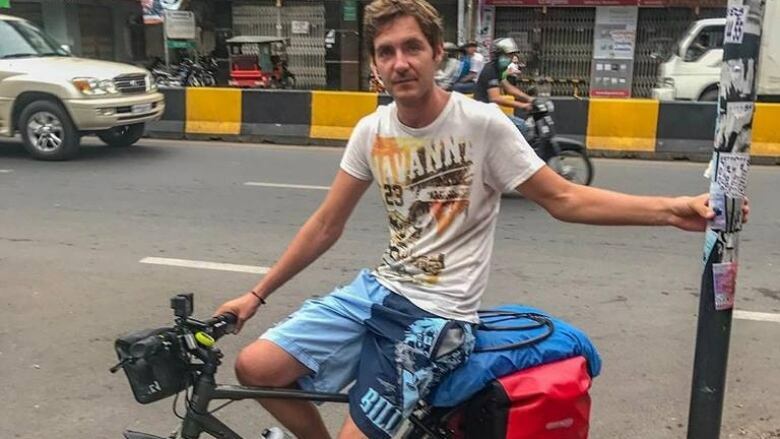 An Estonian man on an around-the-world bicycle trip had his bike stolen on Canada Day by thieves who broke into the St. Boniface garage where he had stored it. Risto Prii, who started his journey in Cambodia eight months ago, arrived in Winnipeg on Saturday and was staying at a residence in St. Boniface. When he woke up the next morning, on Canada Day, the bike was gone. "They broke the door of garage and stole my bike. And the tent was in the bike as well, so I lost my tent as well," said Prii in an interview on CBC's Information Radio. In the eight months he's been cycling, as well as two months of backpacking, Prii said his travels have been relatively trouble-free. "Pretty sad. It's the first thing something like that has ever happened to me," he said. "I actually really liked Winnipeg. I was just thinking, before the bike theft, that it seemed like a really nice city. It still is though. I guess it can happen everywhere." A local newspaper back home has been helping Prii raise funds to replace his bike, which was worth about $500. "Hopefully I can make it work," he said. After Winnipeg, Prii plans to travel to Toronto and Montreal, before heading south to the United States to visit his sister, who lives in Georgia.